This series is our online radio collaboration with workinprogress ; a nonprofit organization dedicated to supporting experimental working practices. workinprogress supports innovative projects, from educational programs, art exhibitions and performances to events. 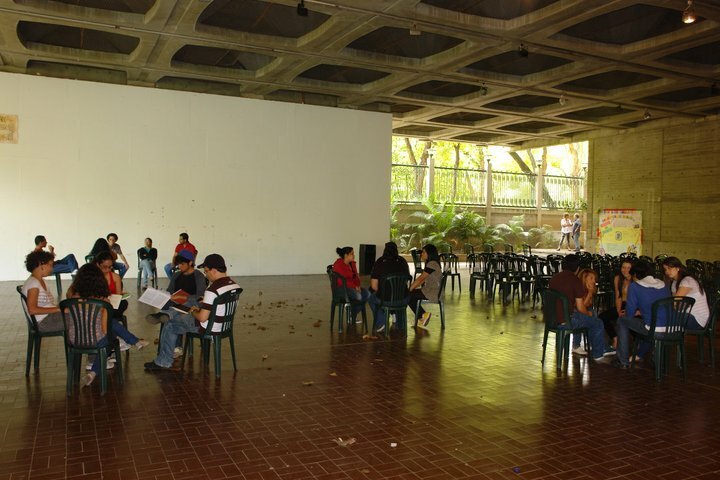 Part of this organization is the Experimental Art School, an independent university of learning that looks at all of the art disciplines. Created by UK artist Terry Smith and curator Clare Fitzpatrick, workinprogress commissions artists to produce work which it then administrates and realizes, including through fund-raising and budget oversight. Some of their events include DRAWN CUT TORN and FILM/VIDEO/PERFORMANCE. workinprogress organized the 2013 Venice Agendas: Speed Dating, Live Art, and The Alternative Scene, as well as the upcoming 2017 Venice Agendas: The Contract. The theme of the 2017 edition, The Contract, is particularly relevant both politically and socially. Contracts, whether written or spoken, are promises and agreements that we make with each other, within our communities and across society in general. The project brings together artists and professionals to share and discuss what a contract means to them, their experiences of relationships governed or suggested by contracts and what might be anticipated or expected in the context of contemporary visual arts and current world events, including the UK Brexit decision.